With a motorcycle racing career stretching back to 1982, the vastly experienced Ian Lougher is something of a legend in his chosen profession. Among his many achievements are 10 Isle of Man TT wins, 8 International North West 200 titles (the only rider to win the 125cc race five years in succession round the 'Triangle' circuit, 18 Ulster Grand Prix victories, 34 Southern 100 (Isle of Man) race wins, the outright circuit win record of 132 race wins at Oliver's Mount, England's only 'pure'road race track. 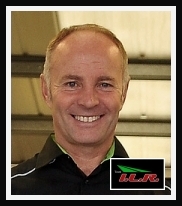 In the past few years Ian has successfully combined his own racing career with that of Team Owner of Team ILR. Ian managed Kawasaki's official Superstock entry in the 2013 Pirelli National Superstock 1000 Championship, one of the support classes to the prestigious British Superbike Championship and he steered the team to third in the championship two years running. Retirement in 2013 from full-time racing allowed Ian even more time to focus on team management, however he still managed a brace of wins at the Isle of Man Classic TT. In 2015 his team branched into the BSB Motostar Championship (Moto 3) with Vasco van der Valk the only rider to score in every round on his way to eighth in the championship, a testament to the ability of both rider and team. 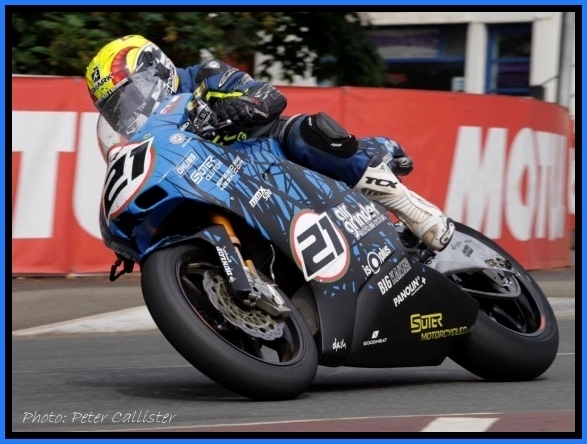 2016 saw Ian come out of TT retirement to race the Suter MMX 500 and spearhead the renowned motorcycle company's exciting Isle of Man TT project on what proved to be one of the most talked about bikes at last year's festival. On the premier domestic championship scene, Ian will again take Team ILR into the BSB paddock in 2017 where, in keeping with the team's ethos, three talented and enthusiastic young riders will benefit from his experience. Joey Thompson will be in Team ILR colours for his second season in the highly competitive and exciting British Supersport Championship, a series that is a new venture for the team and one that will bring increased media exposure. Joey cut his racing teeth in motocross before moving on to the tarmac at the age of 11 where he was very successful at Aprilia Superteen and 600cc Elite Club Championship level. Thompson finished ninth in the 2014 British Motostar Championship scoring points in nine races, with a sixth place at Oulton Park being a particular highlight. 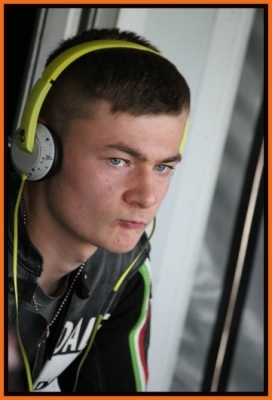 Riding for Team ILR has also presented the 18 year old Yorkshire lad with the opportunity to make his debut at the Isle of Man TT races where he will rely on, and benefit greatly from, the presence of highly respected 10 times TT winner Ian Lougher in his corner. 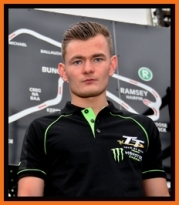 Team ILR will run Thompson on a Kawasaki ZX-6R in the two four-lap Monster Energy Supersport races, where he’ll be the youngest rider on the Glencrutchery Road at TT 2017. Although he will be making his TT debut this year, nevertheless Thompson is no stranger to Oliver’s Mount, Scarborough where he won all eight races he entered in 2016. He took the Stu Reed Lightweight Trophy, won in the past by Lougher, on a Moto 3 Honda as well as victory in the Phil Mellor Trophy race on a 250cc Yamaha. In addition to the Isle of Man TT and British Supersport Championship, Thompson will compete in the three big Oliver’s Mount race meetings, beginning with the Spring Cup National Road Races in April, and he will also debut at the International North-West 200, all of which will be used as preparation for the TT. 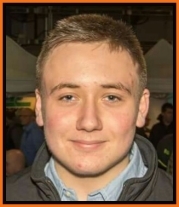 Schoolboy Sam Laffins hails from Dromara Co. Down, home of the famous Dromara Destroyers, and in 2017 Sam will compete in the KTM 390 RC Cup Series. Sam only began racing in June 2016 in the 300 Production Class, and his progress in such a short space of time has been impressive. At the Neil Robinson Memorial at Kirkistown in July he registered two third place finishes. Then in September at the Davy Wood Memorial, on his first visit to Bishopscourt, he had a second and a first place to his credit with a fastest lap of the race thrown in for good measure. He finished 2016 on a high at the Sunflower Trophy races where he was second in the first Junior Cup race with a new lap record for the class, and winning the second race. He also finished second in the Belfast and District Motor Club Junior Cup Championship. Laffins will be under the mentorship of Ian Lougher in 2017, and it's a move that will only serve to further enhance his growing reputation and racing career. Copyright 2017 Team ILR . All Rights Reserved.